The International Year of the Salmon is a global initiative to protect salmon by bringing people together to share knowledge, raise public awareness and take action. 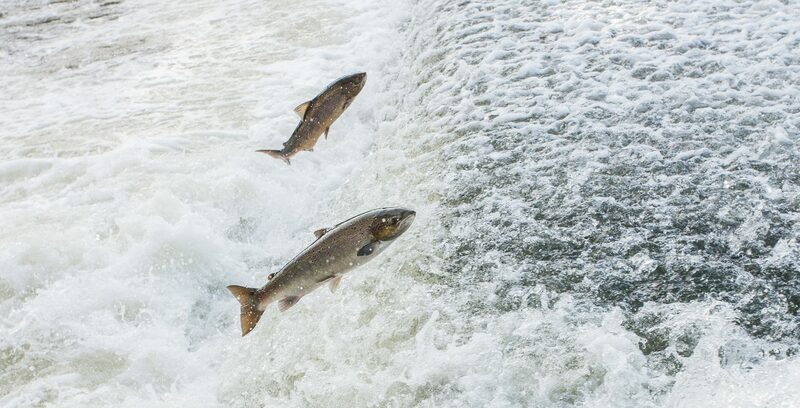 The International Year of the Salmon brings together countries across the Northern Hemisphere because protecting salmon is critically important to the health of the planet and many of its species – including us. Together we can inspire, discover and make change. The International Year of the Salmon will harness ongoing research and kick start partnerships and public action in Europe, North America and Asia. Together, we can give salmon a better chance to survive and thrive. Anyone who cares about the survival of salmon can get involved in the International Year of the Salmon. Experts are needed – but it will takes passion and commitment of people from all walks of life to make a difference. Even the smallest contribution can help. Everyone has a role to play. S&TC will be heavily involved in International Year of the Salmon 2019, and we need your help! This is a fantastic campaign, with involvement from multiple NGOs and charities. We are using this opportunity to collaborate with other charities to highlight the plight of salmon populations globally, to share our research and to work together to stem and reverse this decline. We will be collaborating with partners all across the Northern Hemisphere to further our research (and action) on the threats that salmon face. The crucial research costs money. We are an independent charity receiving no government funding and rely on support from concerned, conservation-minded people just like you. You can support our work by becoming a member, or making a donation. 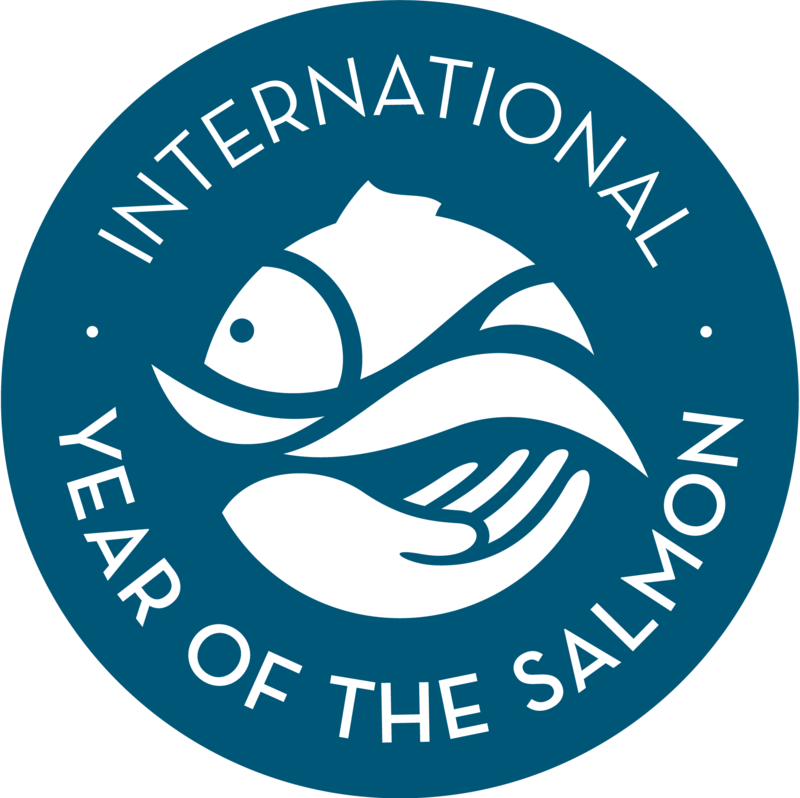 We have a range of exciting and important events planned to celebrate IYS 2019 and help protect and conserve salmon as part of a global effort. These events will be added to this page in the coming weeks. You can also sign up to our newsletter to keep fully up to date with what we are up to and how the International Year of the salmon is progressing. Atlantic salmon populations across their range are in a serious and consistent decline, yet this important and fascinating species has a relationship with humankind stretching back into prehistory. We will be releasing regular educational resources designed to inspire, inform and enlighten on the plight of the salmon and it's incredible life cycle. 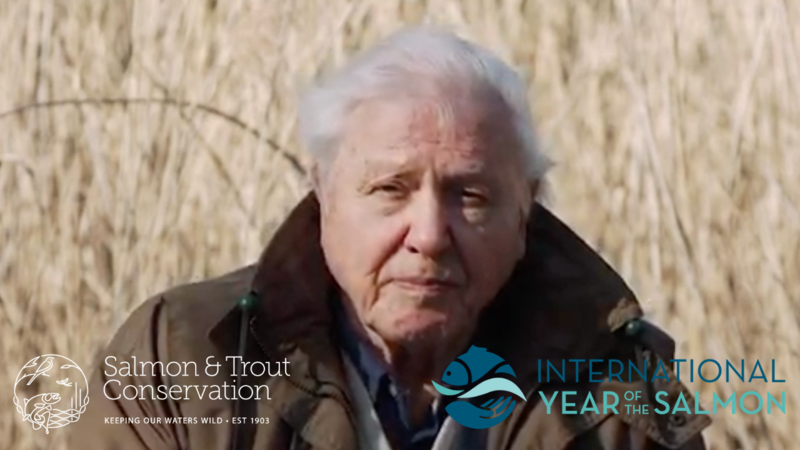 In this International Year of the Salmon, we asked Sir David Attenborough for his views on the need to protect all populations of wild salmon. 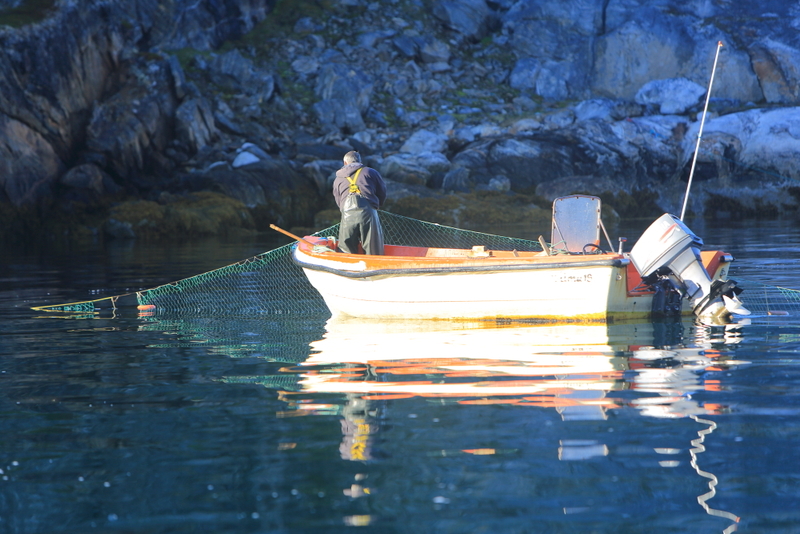 The following video gives a very clear message to Governments across the Northern Hemisphere that they need to act now if we are not going to lose the ‘King of Fish’ for ever! We will continue our current work on reforming unsustainable salmon farming and improving water quality, both vital issues affecting the health of wild salmon populations.